Posting a minimal Profile, walking away, and waiting for the job offers to roll in doesn’t work with LinkedIn — or anything else — these days. LinkedIn works very well for the millions of people who make the effort to understand how to leverage it effectively. And those people are very likely not spending more than fifteen a minutes a day on LinkedIn, once they have a solid, complete Profile. LinkedIn understands what recruiters are looking for (recruiters are the main revenue source! ), so they help you feed recruiters the information they want. 1. An empty — or skimpy — LinkedIn Profile. Cram your Summary full of the things you have done in your work life that you are proudest of and that are relevant to the job you want next. Your Summary should be a keyword-rich description of you and your accomplishments (quantified whenever possible). Describe your what you have done — related to your current job search goals — and what you want to do next. LinkedIn offers sections for Experience — your relevant work history, including any volunteering you have done that supports your goal. Employers and recruiters often also look for Recommendations, Certifications, and Languages. Adding these sections to your Profile, as appropriate, can help make your level of expertise very visible as well as adding more great keywords. NOTE: When you are describing your accomplishments and achievements, don’t limit yourself to your current (or most recent) job.If you helped your local food bank develop a better planning process when you volunteered there two years ago, include it! As long as those accomplishments prove that you are qualified for that next job you want, include as many as you have room for. 2. No head shot photo on the Profile. Nothing labels you as clueless or your LinkedIn Profile as fake or abandoned like the lack of a photo identifying the member. If you think that omitting the photo will minimize discrimination, think again. When recruiters are looking through LinkedIn search results, Profiles with head shots are eleven times (1,100 percent!) more likely to be visited. People looking for new connections also prefer Profiles with photos, too. That’s just human nature. We are all “wired” to respond to faces. With a photo on your Profile, you’ll also be much easier for former colleagues or friends from the past to recognize. Just you — no kids, pets, or partners. 3. A generic, useless, keyword-less Professional Headline. A vague Professional Headline provide no clues about what you do, contains few (or, no) keywords, and will attract no interest! Your Professional Headline should describe your future — your goal for that next job, not your past — when you are job hunting. To provide those all-important keywords, it should be as specific as possible. You aren’t writing this in concrete — it can change if needed in the future (even if the future is next week)! Too many LinkedIn Professional Headlines are vague (e.g. “Operations Manager”), and, thus, lack essential keywords that bring employer and recruiters to your Profile. On the other hand, “Data Center Operations Manager, Finance/Banking Industry, Experienced with SysTrust, OTC Support, and Cyber Security” provides great keywords (assuming they are true)! Post something intelligent and relevant at least once a week in the Updates section of your Profile’s home page. More often is better! Updates will be seen by all of your connections. And, remember that — unless turned off — your contributions and comments in LinkedIn Groups will also show up in your Updates stream. 5. Missing the opportunities provided by Groups. LinkedIn Groups are available for locations, professions, industries, hobbies, employers, and countless other ideas and things that people share. Typically, Group Discussions provide opportunities both to learn and to share good information, including your own work. 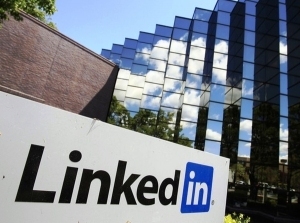 More than two million Groups exist, and each LinkedIn member may belong to up to 50 Groups. When you are in a job search, join that maximum. It’s very easy to “un-join” whenever you want to leave. You are much easier for recruiters to contact (and, note, vice versa!) since Group members can send each other “private” messages without being connected on LinkedIn otherwise! 6. Having a low number of LinkedIn Connections. The more connections you have, the greater your visibility into and inside the LinkedIn community. Try to add one or two new connections every week. With more connections comes more credibility. When you have few connections, you look like a LinkedIn “newbie” or, possibly, like your Profile may be fake. Once you hit the “500+” Connections mark, you will look like the vast majority of LinkedIn members, your credibility and reality confirmed, and the number of connections you have will no longer be visible or particularly relevant. 7. Not acting like a grown-up. LinkedIn does require active participation to be effective, and, the more active you are, the more visible you are. Keep that activity positive and professional. Communicate clearly and well (demonstrating your skill in written communication) and nicely and politely (unless you are looking for a job as a nasty person). Even if you are very happy in your job, stay active on LinkedIn. Know anyone who really has a “permanent job” these days? Non-existent! Using LinkedIn, recruiters find good candidates, get to know them a bit, and approach them with job opportunities when the right opportunity develops rather than posting a job and being inundated with applications from unqualified applicants. Of course, your mileage may vary, but, for most industries and professions, time invested in LinkedIn is usually time well spent. To learn what your best keywords are and how to effectively leverage them in LinkedIn and your other social profiles, see Be Found to Be Hired: the 20 Best Keywords for Your Job Search. If you aren’t yet convinced how important that Profile photo is, read 5 Reasons You Must Have a Photo on Your LinkedIn Profile. Also check out “Top LinkedIn Success Secret: Smart Misspellings” for more ideas.